Will buy again. Cheaper than in jb.. fast delivery.. looks good. Can't tell from packaging if there's any problem now as I'm buying it as present for my little nephew. Received this item within a a few days. Wanted to have more fun with my toddler. Hope they help! Item is good. Fast processing and delivery. Many picture cards with up to 5-letter words. 2 sets of alphabets. One card holder. My 3yo enjoyed it. It's a gift, so can't comment about the item. I like the item. Gd for teaching the kids spelling. Many word cards so value for money! Received items within a few days, thank you! Will you restock the tumblin’ monkey? Hi, really sorry. there are no immediate plans to restock. I had already placed an order from your shop earlier today. I am thinking of purchasing this product. Can I select store pickup for this item to be shipped together with the last order? Kindly advise. Hi! 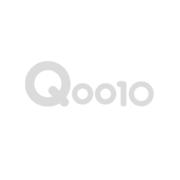 We do not have the store pickup option available in Qoo10, sorry. Perhaps it will be easier for you can cancel the current order and place a new order for the two items. FYI, our next shipping date will be on Monday as our office is closed tomorrow for an external event. Thanks. How big is the alphabet blocks for the literacy game? Can I have the measurements please? Thanks. Hi, the alphabetes are approximately 2cm x 2cm. Thanks.